Why choose a Pre-listing Inspection? A Pre-Listing Inspection provides you with information that will help you sell your property. As most real-estate transactions today require the performance of a professional home inspection, the Pre-Listing Inspection gives you a head start in knowing what your purchaser’s inspector is looking for. 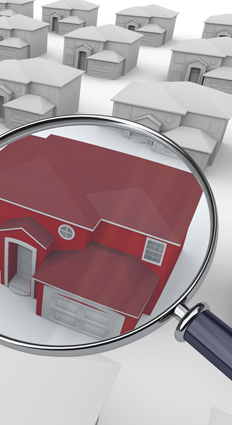 You get a complete, detailed inspection analysis of your home in both written and digital formats. The Inspector will investigate all major components of the building system and comment on areas of concern as they are discovered. Finally, your inspector will provide a presentation sheet highlighting major expense items that a potential purchaser should be made aware of. This service is designed to help you sell your home faster providing full disclosure to purchasers so that offers are based on their knowledge of the property. Why choose a Pre-purchase Inspection? A Pre-Purchase Inspection provides you with a complete, detailed inspection analysis of your prospective home purchase in both written and digital formats. The Inspector will investigate all major components of the building system and comment on areas of concern as they are discovered. This is your opportunity to measure and record details of the home and related fixtures to help ensure you make an informed decision. Our process is interactive. Our clients are encouraged to follow the inspector throughout the process and ask as many questions as needed to be comfortable moving forward. Why choose a Warranty Inspection? All of our services include detailed investigations using non-invasive visual methodology. Our visual findings are verified using state of the art tools and digital imaging equipment.